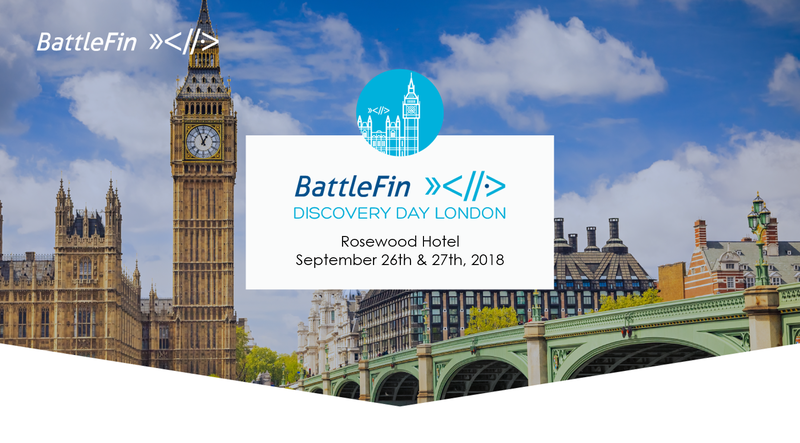 BattleFin's London event will focus on European as well as Global Data Providers and Data Buyers and VCs that are active in the Alternative Data space. If you are a Data-centric, Quant, quantamental, fundamental or long only asset management firm interested in alternative data or a VC looking to fund Alternative Data companies or use alternative data to improve your investment process, you should attend the London event. 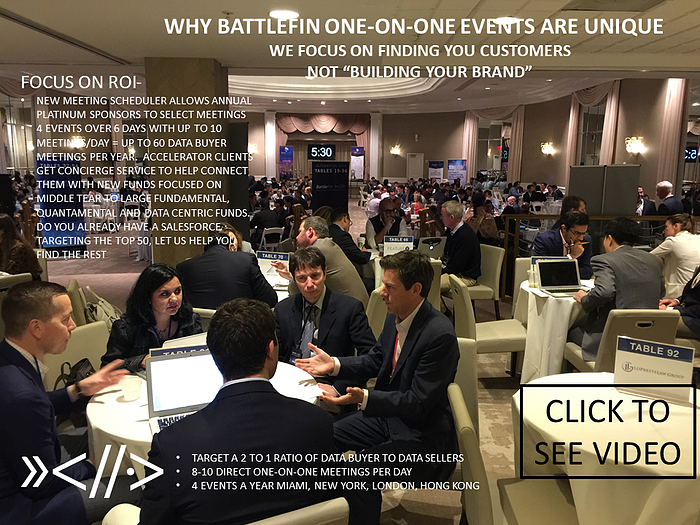 The BattleFin Data One-on-Ones between data providers and data buyers will bring top level data buyers like you to London and match the right people with interesting new data sources. Meetings are 15 minutes in duration with up to 10 One-on-One meetings during the event. Priority data buyers get access to the online meeting scheduler to pre-plan their own meetings. This allows you access to view all 25 alternative data providers attending this event and their alternative data tear sheets. After looking through the data providers attending you will be able to build out your own meeting schedule for the event. As a priority data buyer you will not be locked out of specific alternative data providers attending because we limit the number of priority tickets we sell. 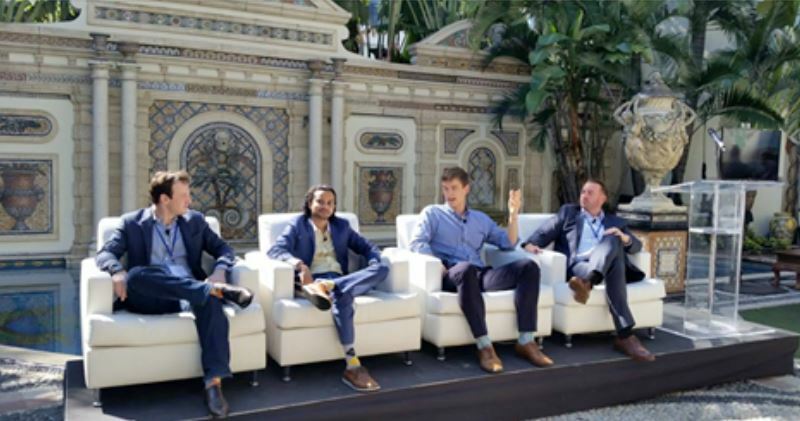 We will also have interesting panels showcasing new data stream providers, Machine Learning and Artificial Intelligence. Or Register by clicking here or contact Todd Schwendiman for more information – Todd@BattleFin.com or call (203) 621-7950. I'm Interested. Please provide me more information.